Nvidia's Shield has just been given an official pre-order date ahead of a June release, and we're really interested to see how the gaming market reacts to its arrival. As for Nvidia, it seems pretty confident that the growing power of Android's growing ecosystem will propel the handheld into the big time. 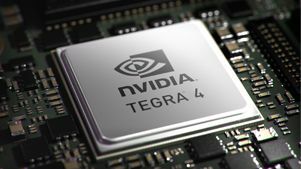 "The momentum is now on Google's side," Igor Stanek, head of Nvidia EMEA Tegra PR, told TechRadar in a discussion about where Mountain View stands right now on gaming in relation to competitors like Apple. Talking about iOS's graphical power, he said, "They are still ok but you see that Tegra 4 is already faster, then we get the next-gen chip and the next-gen chip. Look at how fast Android devices are improving." But it's more than just the power that will be key for Shield, according to Stanek. "It's not just the device itself but the ecosystem in which it exists," he said. "Shield is different [from 3DS, PS Vita] - it's a part of an ecosystem, it's part of the Android ecosystem." As for what the PS4 and new Xbox will offer gamers, Stanek didn't seem too worried. "I don't see consoles as a big issues for us," he said. "This is just my opinion, but I think this generation of consoles could be the last one." Google's devices have traditionally been behind iOS when it comes to getting apps and games, but the trend is shifting and Nvidia recognises the significance in this. "The majority of games are now released at the same time for iOS and Android or with very little delay," said Stanek. "The install base on Android is so huge it wouldn't be clever from the developer's side to not support it." As for those hoping for word of a UK release, there's nothing new to add, said Stanek. "Our plan is to see how it's going [in the US and Canada] and then we can expand to other regions." Whether this refers to actual sales or critical reception, Stanek couldn't say, but we hope Nvidia will be able to tell us more very soon.